Hello, My friends!! What’s up? I Hope you alright. 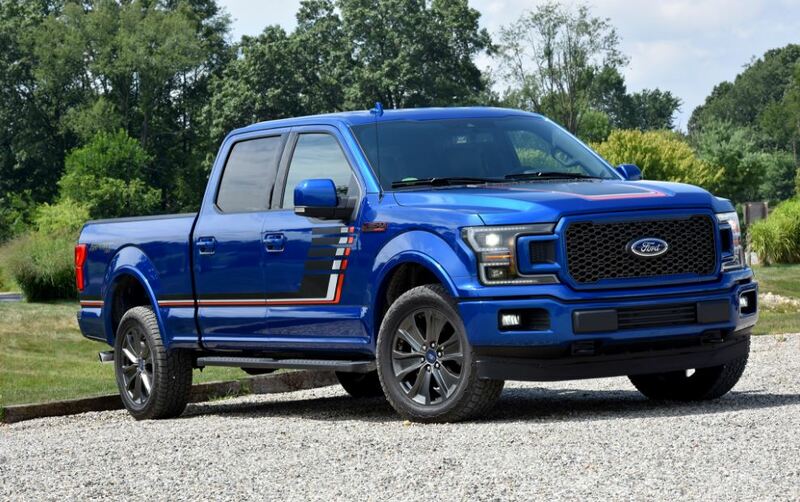 So Friends Today Here in this article, I am going to present the best Ford F-150 XL Pickup Truck information such as Overview, Price list, Technical full Specifications, Key Features, Images, Video and more. That all kinds of information are genuine and reliable because our goal is to provide only credible and trustworthy information for our site viewers. So friends are you excited for that, Ok let’s start it. 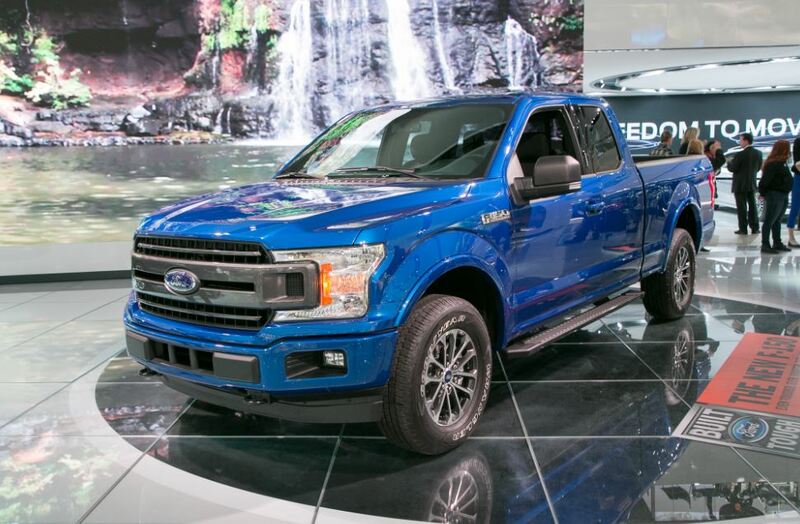 Ford F-150 XL Price Starting at $27,380. Wheelbase – – 145.0 in. 145.0 in. 163.7 in. 163.7 in. 134.2 in. Overall length – – 231.9 in. 231.9 in. 250.5 in. 250.5 in. 220.0 in. Cab height – – 75.5 in. 77.2 in. 75.5 in. 77.0 in. 78.5 in. Width – Excluding mirrors – – 79.9 in. 79.9 in. 79.9 in. 79.9 in. 86.3 in. Width – Standard Mirrors folded – – 83.5 in. 83.5 in. 83.5 in. 83.5 in. 86.3 in. Track width – Front – – 67.6 in. 67.6 in. 67.6 in. 67.6 in. 73.9 in. Track width – Rear – – 67.6 in. 67.6 in. 67.6 in. 67.6 in. 73.6 in. Overhang – Front – – 37.8 in. 37.8 in. 37.8 in. 37.8 in. 37.1 in. Overhang – Rear – – 49.1 in. 49.1 in. 49.1 in. 49.1 in. 48.7 in. Ground clearance – – 8.7 in. 9.4 in. 8.7 in. 9.3 in. 11.5 in. Open tailgate to ground – – 34.1 in. 35.9 in. 34.5 in. 35.7 in. 36.4 in. Front bumper to back of cab – – 144.1 in. 144.1 in. 144.1 in. 144.1 in 144.1 in. Wheelbase 145.0 in. 145.0 in. 156.8 in. 156.8 in. – – 146.0 in. Overall length 231.9 in. 231.9 in. 243.7 in. 243.7 in. – – 231.9 in. Cab height 75.6 in. 77.2 in. 75.7 in. 77.3 in. – – 78.5 in. Width – Excluding mirrors 79.9 in. 79.9 in. 79.9 in. 79.9 in. – – 86.3 in. Width – Including standard mirrors 96.8 in. 96.8 in. 96.8 in. 96.8 in. – – 96.8 in. Width – Standard Mirrors folded 83.5 in. 83.5 in. 83.5 in. 83.5 in. – – 86.3 in. Track width – Front 67.6 in. 67.6 in. 67.6 in. 67.6 in. – – 73.9 in. Track width – Rear 67.6 in. 67.6 in. 67.6 in. 67.6 in. – – 73.6 in. Overhang – Front 37.8 in. 37.8 in. 37.8 in. 37.8 in. – – 37.1 in. Overhang – Rear 49.1 in. 49.1 in. 49.1 in. 49.1 in. – – 48.8 in. Ground clearance 8.5 in. 9.4 in. 8.4 in. 9.3 in. – – 11.5 in. Open tailgate to ground 34.0 in. 35.7 in. 34.6 in. 36.1 in. – – 36.3 in. Front bumper to back of cab 155.9 in. 155.9 in. 155.9 in. 155.9 in. – – 155.9 in. Inside Length (at floor) 67.1 in. 78.9 in. 97.6 in. 67.1 in. Width between wheelhouses 50.6 in. 50.6 in. 50.6 in. 50.6 in. Inside Height 21.4 in. 21.4 in. 21.4 in. 21.4 in. Cargo box volume 52.8 cu. ft. 62.3 cu. ft. 77.4 cu. ft. 52.8 cu. ft.
Head room – Front 40.8 in. 40.8 in. 40.8 in. Head room – Rear – 40.3 in. 40.4 in. Shoulder room – Front 66.7 in. 66.7 in. 66.7 in. Shoulder room – Rear – 65.8 in. 65.9 in. Hip room – Front 62.5 in. 62.5 in. 62.5 in. Hip room – Rear – 64.7 in. 64.7 in. Max Leg room – Front 43.9 in. 43.9 in. 43.9 in. Leg room – Rear – 33.5 in. 43.6 in. Base Curb Weight – H.O. 3.5L EcoBoost® V6 – – – – – – 5,525 lbs. Base Curb Weight – H.O. 3.5L EcoBoost® V6 – – – – – – 5,697 lbs. Wheelbase 122.4 in. 122.4 in. 141.1 in. 141.1 in. 2.7L EcoBoost® V6 3.55 12600 – – – 7,600 lbs. 2.7L EcoBoost® V6 3.73 13300 – – – 8,300 lbs. 3.3L Ti-VCT V6 3.73 12200 – – – 7,400 lbs. 3.5L EcoBoost® V6 3.15 15800 – – – 10,700 lbs. 3.5L EcoBoost® V6 3.55 17100 – – – 12,000 lbs. 5.0L Ti-VCT V8 3.15/3.31 14100 – – – 9,100 lbs. 5.0L Ti-VCT V8 3.73 16200 – – – 11,100 lbs. H.O. 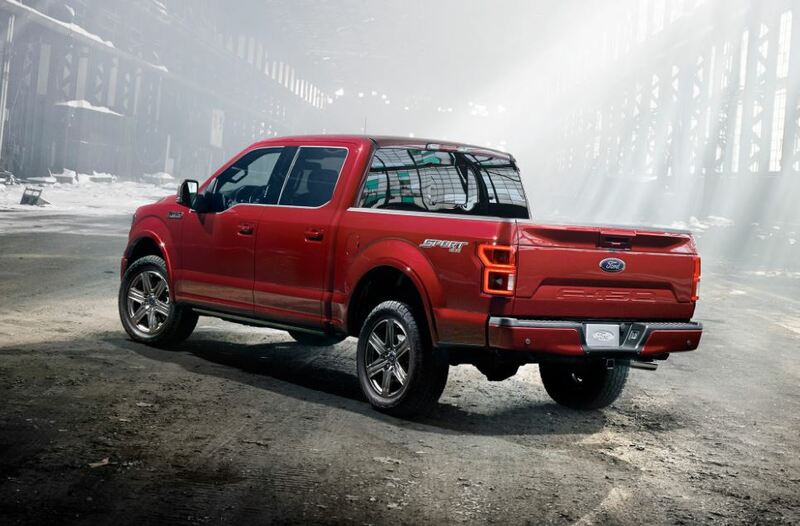 3.5L EcoBoost® V6 (Raptor only) 4.10 12000 – – – – 6,000 lbs. H.O. 3.5L EcoBoost® V6 (Raptor only) 4.10 12000 – – – – 8,000 lbs. 2.7L EcoBoost® V6 6500 – – – 1,910 lbs. 3.5L EcoBoost® V6 7050 – – 2,160 lbs. 2,350 lbs. 5.0L Ti-VCT V8 6950 – – – 2,290 lbs. H.O. 3.5L EcoBoost® V6 (Raptor only) 6600 – – – – 1000 lbs. H.O. 3.5L EcoBoost® V6 (Raptor only) 7050 – – – – 1,200 lbs. Wheelbase – 5.5′ Box – 134.2 in. (Raptor only) 145.0 in. Wheelbase – 6.5′ Box 122.4 in. 145.0 in. 156.8 in. (When properly configured) 13,200 lbs. (When properly equipped) 3,270 lbs. Min Vehicle Base Curb Weight – 4×2 4,069 lbs. Min Vehicle Base Curb Weight – 4×4 4,330 lbs. 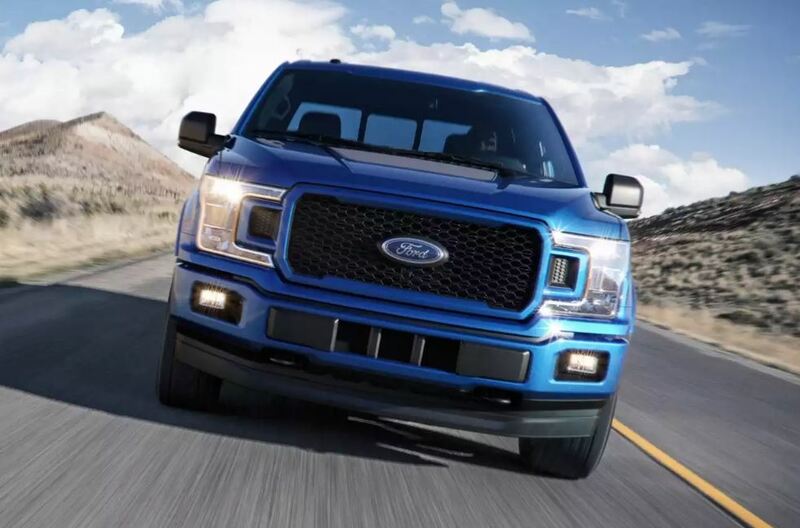 So this was all about the information of Ford F-150 XL Pickup Truck, I hope you got to know about all the specifications for which you were searching online. If you have any question you can comment below, I will respond to you as soon as possible. Thanks for reading this article, and stay tuned with me for stuff like this. Keep smile and Take care my friends.